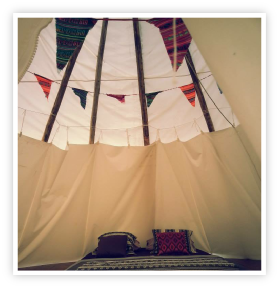 Our tipis are suited for 2-5 persons. We can allow up to 2 dogs in each tipi. Please give us a call (01827 880 078) or email info@gopsallparktipis.co.uk to check availability.